Equip pupils with an understanding of the locality of Antarctica as one of the world’s continents. During this activity, elicit pupil’s misconceptions explaining that Antarctica is a landmass and not an iceberg! Explore the ways landmass and oceans are depicted in a variety of sources such as Google Earth and Satellite maps. Frank Hurley was the expedition photographer whose task was to document the experience. Ask pupils to take on his role and imagine what he would see through the camera lens. Give pupils opportunities to draw/sketch their ideas prior to showing any photographs of the Antarctic. This is a chance to challenge any ‘Polar Bears in the Antarctic’ theories commonly held by younger pupils. Following this initial activity reveal original photographs from the expedition (many of which are available online) and use aerial photographs to explore the landscape. Using a variety of maps/globes, locate the north and south poles explaining the term ‘ant-arctic.’ Model this to pupils using miniature figures on a globe considering the view of the world from each of the poles. Use a simple climate map to establish hot and cold areas across the globe. Using table top maps in conjunction with a timeline (see resources below), plot and role play the journey of the Expedition. Using geographical skills such as keys and classification, bring the timeline alive giving consideration to all elements of the Expedition, for example, The Ross Sea Party (the food depot ship). Through discussion consider the reasons why these routes were chosen. Using ‘role play’, encourage pupils to appreciate a day in the life of an Antarctica research station. 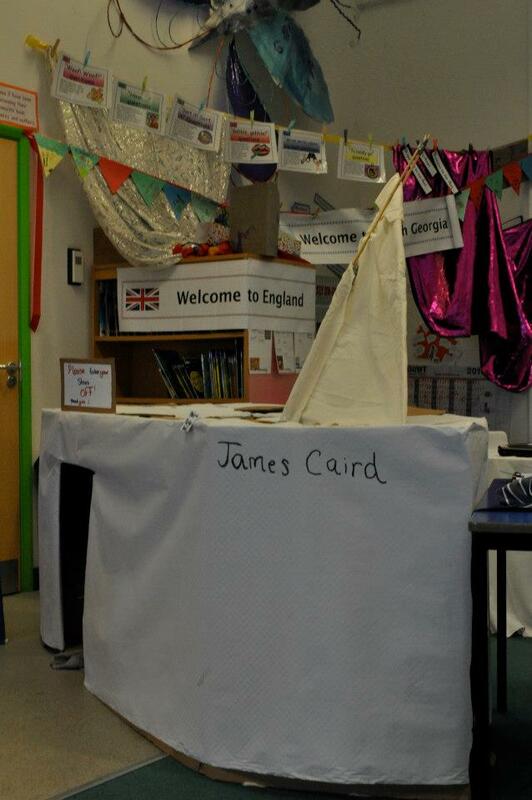 Via the use of a variety of existing research centres, pupils map and locate their role play station on Antarctica. Use teacher questioning and wider research by pupils, to encourage discussions regarding this as a fragile environment of temporal significance, differing time zones and daylight hours at the poles and how the tilt of the Earth affects this. An enquiry of this sort encourages research and investigation of the physical geography similarities and differences of these regions. Pupils can investigate physical and human features such as ports, mountain environments and trading patterns. Nearing the end of the unit, consolidate and celebrate the enquiry via use of an ‘Endurance Day’ event. Pupils create a ‘living classroom’ representing and contrasting the different localities of London, Buenos Aires, South Georgia and Elephant Island. Pupils invite their peers and the local community to share their ‘living classroom’ passing on their curiosity and fascination of the enquiry.